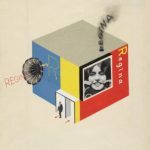 In honor of the Bauhaus’ centennial, Harvard’s Busch-Reisinger Museum showcases its expansive collection of Bauhaus-related works. 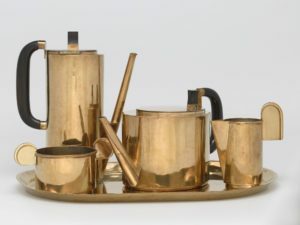 Wilhelm Wagenfeld, Coffee and Tea Service: 5-Piece Set, 1924–25, brass with mercury silvered interiors and ebony fixtures. Harvard University’s relationship to the Bauhaus can be traced back to three grad students. This triumvirate—Lincoln Kirstein, Edward Warburg, and John Walker—started the Harvard Society for Contemporary Art in 1929 and showed forward-thinking work by artists such as Buckminster Fuller. 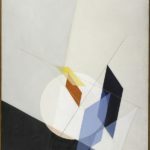 In 1930, the group put together an exhibition of contemporary German art, and later that year, a show of the Bauhaus—the first exhibition in the United States of work from the revolutionary German art school. “It wasn’t huge, but the group got loans from important galleries in New York, and Lincoln Kirstein wrote a small catalogue for it,” says Laura Muir, the research curator for academic and public programs at the Harvard Art Museums. The exhibition traveled to New York and Chicago and caught the attention of Charles Kuhn, the curator of Harvard’s Germanic Museum—now the Busch-Reisinger Museum—and a supporter of the Society. In the wake of the exhibition, Kuhn began collecting contemporary German art, with a focus on Bauhaus works. The Bauhaus was founded in 1919 with the intention to promote collaboration between fine art, design, architecture, and craft. Though it had an indelible influence on the arts, it was only open for 14 years before its closure in 1933 under pressure from the Nazi regime (it was thought to be a hub for communist intellectualism). Like many of his colleagues, Walter Gropius, the Bauhaus’s founder and first architect-director, fled Nazi Germany. After a brief period in London, Gropius joined Harvard’s department of architecture in 1937, serving as the chair of the Graduate School of Design until 1952. Kuhn developed a relationship with Gropius, which lent direction to the curator’s timely reinvention of the Germanic Museum after World War II. The change was necessary: for one, the museum had been started with a collection of plaster casts and Kuhn wanted to shift its focus to original work, but perhaps more pressingly, German art was understandably out of fashion at the time. “As you can imagine, people weren’t so keen on Germanic culture, but right around this time Kuhn began the Bauhaus collection,” says Muir. 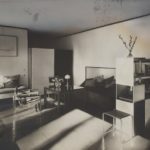 “The Bauhaus represented something so expansive and modern—it was the perfect initiative for that moment.” Within a few years a call was put out for donations, and by the mid-1950s, there were 10,000 works in the museum’s Bauhaus collection. 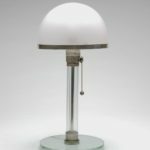 Today, the Busch-Reisinger Museum has an enormous cache of 32,000 Bauhaus-related objects in its holdings. It serves as the museum’s core, and a selection of its pieces is always installed in its galleries. In 2016, Harvard Art Museums created The Bauhaus Special Collection, an online resource that serves as an ever-evolving digital catalogue for a collection too big for a comprehensive physical catalogue. The exhibition opens with a gallery devoted to the Bauhaus’ pedagogical practices. 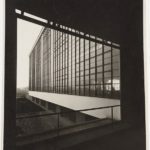 Says Muir, “We were devoted to the idea that first and foremost the Bauhaus was a school—which is of course pertinent to us.” The school’s faculty included such esteemed artists as Paul Klee, Johannes Itten, Josef Albers, László Moholy-Nagy, Wassily Kandinsky, Otto Bartning, and Herbert Bayer, and began with the Vorkurs, an intensive course that introduced fundamental design principles. The gallery features examples of student exercises that showcase the Bauhaus’s revolutionary approach, focusing on color, form, shape, even sound. They are rarely seen because, being on paper, they are extremely photosensitive. One of the last galleries in the show features work that acknowledges the Bauhaus’ influence in the United States, for instance, Untitled (BMC.121, Exercise in Color Vibration and Figure Background), an exercise produced by celebrated sculptor Ruth Asawa in 1948–49 under the tutelage of Josef Albers at Black Mountain College in North Carolina. Throughout the exhibition, the archive’s depth will be used to expand upon familiar works. Muir cites an installation of Marcel Breuer’s celebrated Club Chair (B3) (designed 1925, manufactured 1929–32, nickel-plated steel tubing and modern canvas) in the show’s second gallery, which is devoted to the domestic interior. Ads by Herbert Bayer, as well as fabric samples from the Bauhaus Weaving Workshop, and photographs by Lucia Moholy, Moholy-Nagy’s wife—materials that are rarely on view because of their light sensitivity—give context to the chair. 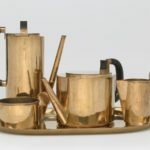 This gallery also showcases practical decorative art pieces like Wilhelm Wagenfeld’s Coffee and Tea Service: 5-Piece Set (1924–25, brass with mercury silvered interiors and ebony fixtures) and Table Lamp (1924, transparent glass, opaline glass, mercury-silvered German silver, and silvered brass), which underscore the Bauhaus’ utopian project of designing a new world with objects that blended design, technology and functionality. A section of the show devoted to the Bauhaus Weaving Workshop not only emphasizes some of the Busch-Reisinger’s strongest holdings, but also gives recognition to members whose voices might not have been as loud in the past—in short, the school’s women artists. “Throughout its history, we’ve had a lot of exhibitions devoted to this collection, but they’ve surrounded a lot of the same familiar male figures. We want to show the contributions of the women artists,” says Muir. In this section, Gunta Stölzl’s Tapestry (1922–23), an exploration of Modernist form and color in cotton, wool, and linen fibers, sings, as does Design for a Rug (1927, black ink and watercolor over graphite with drawn and cut paper additions on off-white wove paper) by Anni Albers. The exhibition’s final gallery is devoted to the Harvard Graduate Center, which Gropius designed with his firm The Architects Collaborative. Opening in 1950, it became the first modernist building complex on the university’s campus. The Center, says Muir, has never been the focus of an exhibition. The section will feature examples of artwork and studies commissioned for the building, such as Herbert Bayer’s Verdure (1950, oil on canvas), which was until recently undergoing conservation, and decorative pieces such as the plaid bedspread Anni Albers designed for the Center’s dorm rooms. In a sister exhibition at Harvard’s University Research Gallery, “Hans Arp’s Constellations II,” the 13-panel relief of the same name, which was commissioned by Gropius for the Center, will be on view. Constellations II was first installed on the walls of a popular dining hall in Harkness Commons (now the Caspersen Center), but, in perhaps a rare convergence of Bauhaus and Animal House, had to be raised above table height in 1958 due to damage. They have since been moved and, recently, conserved.